Quick Response Codes known as QR Codes is a matrix barcode readable by QR scanners, smartphones, iPods (with camera), or tablets. That looks like this! Simply, QR codes are a shortcut to find more about anything (product, place, person, idea, etc.) and are used in advertising/promotion, education, transportation, marketing, etc. The code can be as small or big as you want and looks much better than a long hyperlink posted. These codes are free and extremely easy to create as well as post in print or online format. Here are some great QR Scanner apps. Classroom Integration: Teachers are starting to think creatively on how they can use these QR codes in their classroom to differentiate learning. Think about how often you’ve had your students do research, access a webpage by providing a link, or even do an in class activity. Now, look here for a list of ideas on how you can incorporate QR codes. Post QR codes on posters/visuals in your room for students to learn more about them. Create lessons that have students scan the QR code to take them to the correct answer. Use them for a web quest or scavenger hunt. Make learning centers: post QR codes around the room that direct students to different resources (websites, videos, documents) like a museum! Use QR codes to check answers for an assignment, quiz, or test. Students can scan the QR code instead of searching for websites (time saver). 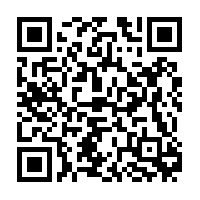 Add a QR code in your school newsletter to learn more about the school, an event, yourself, or anything you want. Post QR codes around your room or hallway for anyone to scan and view student work. Use QR codes to generate tickets for school events. Have students create their own codes to view a e-portfolio of their work. Use QR codes for voting on what in class activities to do or to vote in student council.